more to see and explore, visit the Lincoln City Visitor and Convention Bureau. Summer 2019 has a 3 night Minimum July & August (unless filling a gap). Please Avoid Leaving "Single Night Gaps" June- Sept. & Spring Break. Memorial Day & Labor Day Weekends 3 nt. Min. 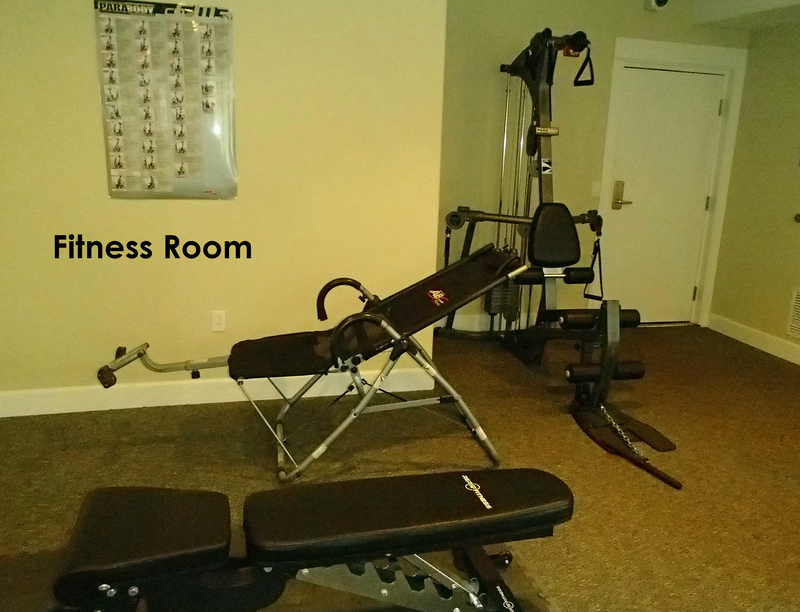 Workout & Rec Rooms on site. 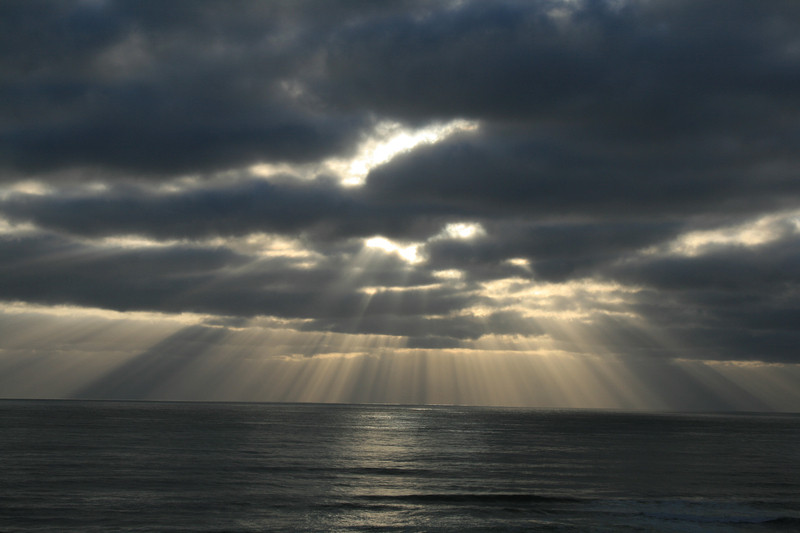 "We stayed in a lovely 2 bedroom condo overlooking the Pacific Ocean in Lincoln City Oregon." 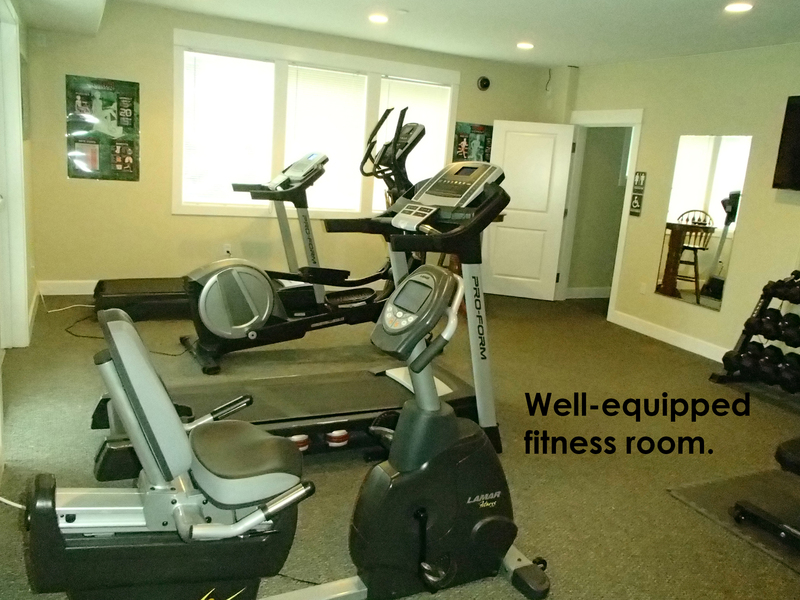 "Unit was clean, well equipped with many amenities. Hot tub was clean and hot. Everything was in working order. Great beach location. " "First visit at Surf’s Up. Enjoyed our visit. Very nice furnishings. Will visit again. " "We had a wonderful time. When issues arises they were fixed as soon as reported." 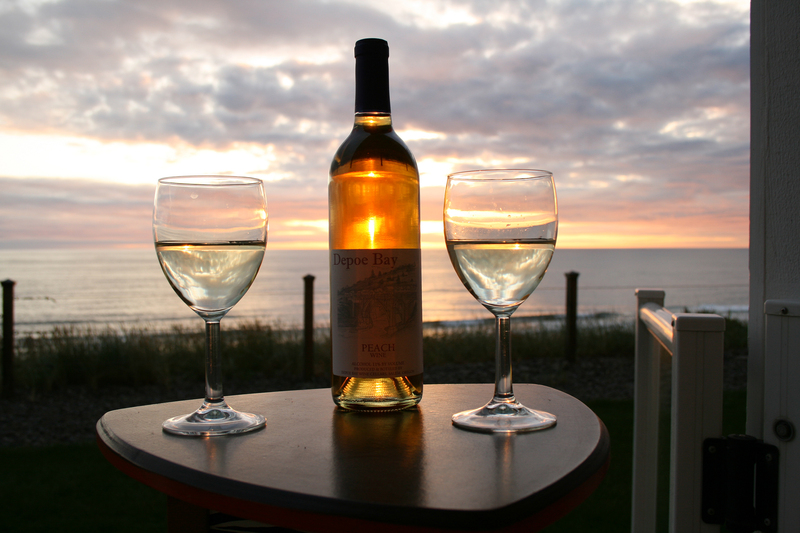 "Lovely get-away home at the Coast with everything (including a bottle of wine) that you might need. Well stocked kitchen and the large granite topped island was perfect for presenting our meals, using the laptop and gathering around. We loved the floor plan and the master bath was beautiful. We were confused though as to why such an otherwise amazing condo would have two such completely wornout, wornthrough leather chairs when everything else was so nicely appointed. Everyone enjoyed the hot tub and thank you for keeping it hot instead of lukewarm which has been our experience elsewhere, so often. We had the pleasure of being there during the Super Snow Moon and had the amazing delight of seeing the moonbeams dance through the waves. What an experience! All four of us are already making plans for our return. Thank you for sharing this beautiful spot in Oregon Coast paradise. " "This place is great, nice and comfortable "
"Everything was perfect! From check-in to location to condo design and maintenance. We weren't cooking in this stay but the kitchen was so well supplied had we done dinners in. A-1 Beach Rentals was lovely to deal with and the unit was so comfy, great decor and convenient for access to the unit as well as location for exploring the coast. Great Discoveries boat tour out of Newport was exceptional because we saw many gray whales that day to the surprise of the boat crew!! Huge Plus!! " Manager Response: So happy that you enjoyed Surfs Up! Come visit again soon! "Beautiful views, amazing walks on the beach, and a quiet condo with lots of privacy. And memories that will last a lifetime. " Manager Response: So happy that you had a great stay at Surfs Up! Please come back again soon! "The condo was amazing, incredible view and the weather was perfect. This is our second stay in the condos and will not be our last. Well furnished and had everything we needed. We drove to Depo Bay and did some whale watching and light fireworks on the beach. Family had a wonderful time; see you next year. " Manager Response: So glad that you had a good stay at Surfs Up! Hope you visit again soon! "Surfs Up is beautifully furnished, well equipped, and full of pretty photography. Clearly, the owners wished to impart their personal touch, even down to the complimentary bottle of wine. The only thing I would suggest is to not have flannel sheets on the bed during summer:)"
Manager Response: So pleased that you enjoyed Surfs Up! Come visit again soon! The weather didn't really behave, but I have no complaints at all about the property. It was spotless and well maintained. WIFI and TV package were great. Hot tub worked perfectly and was nice to watch the waves from. Location was good, pretty central in Lincoln City, and close to beach access. I will definitely recommend this unit to friends"
Manager Response: Glad you had a great stay at Surfs Up! Hope to see you again soon! "After looking at rentals for our vacation I was pleased to find Surf's up. Once we arrived at the condo we were pleasantly surprised with it being a beautiful place with everything you could need. Being right on the ocean and having a great patio and our own hot tub was great. 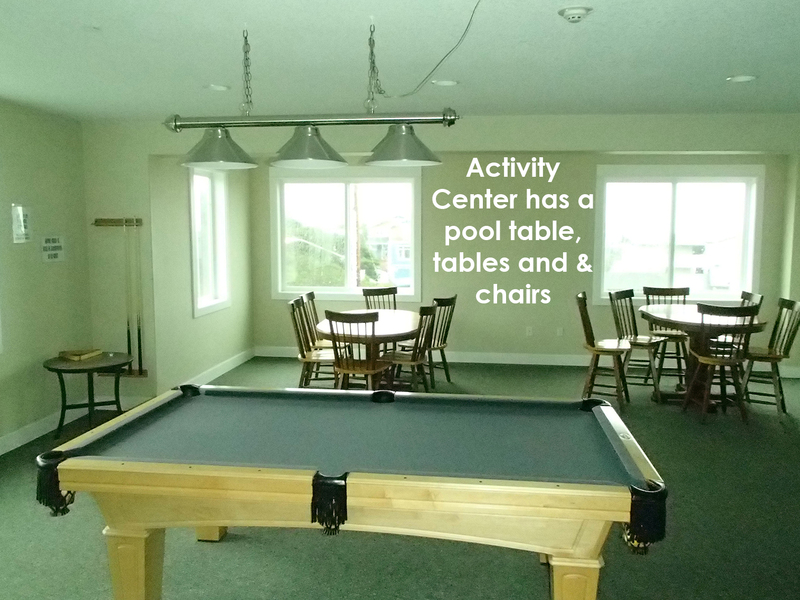 All the amenities were great at the condo complex as well. I would definitely recommend Surf's up and we will be booking it again "
Manager Response: Pleased that you enjoyed Surfs Up! Come visit again soon! "Amazing unit great views vary cozy we will be going back for sure. " "Great place, great location, and great views. Our 2nd time staying at the Surfs Up and as always every amenity you could want is provided. We'll be back!" "We came here for a 60th birthday celebration weekend. There were four of us, friends since 1st grade, and had a lot to catch up on. The condo was beautiful, peaceful, and the perfect setting for our reunion. I loved the private hot tub and fantastic view. Everything was clean and well equipped. Our only problem was we didn't get to spend more time here! I can't wait to come back!" Manager Response: Glad you enjoyed your time at Surfs Up! Please come again soon! "Beautiful location overlooking the beach. Wonderful accommodations! Would definitely stay here again!!" Manager Response: Glad you enjoyed your time at Surfs! Please come again soon! "This condo was extermely well stocked and clean. The owner's clearly put a lot of thought and care into ensuring their guests have a satisfying stay. It is a very close walk to the beach, has an amazing view and the hot tub was a bonus! We would definitely recommend this place and hope to book it again!" Manager Response: Thanks for your kind review! So glad you enjoyed Surfs Up! Please come again soon! "What a wonderful place! Everything was perfect. The condo was clean. Everything was just perfect." Manager Response: So glad you had a great stay at Surfs Up! Please come again soon! "Beautiful condo, well maintained, with all the amenities that one would need for a very comfortable stay!" Manager Response: Glad you enjoyed Surfs Up! Please come again soon! "We had a wonderful visit. Always enjoy this unit. The owners take special care to provide so many extras that make the stay special. Manager Response: So glad you enjoyed your stay at Surfs Up! Please come again soon! "We will definitely be back! This home was amazing to stay in, from the sunrises to the sunsets and the cozy fireplace. The location was perfect and the home was cozy." Manager Response: So glad you enjoyed Surfs Up! Please visit again soon! "Great spacious condo with an ocean view. Location was good too. definitely would recommend and would stay here again. " Manager Response: Really pleased that you enjoyed your stay! Please come again soon! "This was a girls getaway weekend and when we walked into condo we were thrilled with it! The view was everything we hoped for, the layout and furnishings perfect, and to top it off a complimentary bottle of wine! Close proximity to outlets and casino. Couldn't have asked for a better place to stay and we definitely will be back next year." Manager Response: Pleased that your stay at Surfs Up was a good one! Hope to see you again soon! "The place was clean, neat, and tidy.Bathrooms extra clean and neat." Manager Response: Pleased that you enjoyed Surfs Up! Hope to see you again in the future! "We had a wonderful time at Surfs Up! Everything was as described and the view is amazing! Thank you for making our visit to the coast so much fun. Will definitely stay here again. " Manager Response: So happy that you enjoyed your stay at Surfs Up! Visit again soon! "This was a great place for a get away! We had beautiful weather to whale watch while sitting in the hot tub. We will be back." Manager Response: So glad that you enjoyed Surfs Up and the whales! Visit again soon! "We had a little of everything, hail, rain, clouds AND sun. This was our second stay in this condo, what a relaxing, clean quiet place. We appreciated the updated decor but did miss the frogs. We never saw or needed maintenance. Facility is well maintained." Manager Response: Glad that you enjoyed Surfs Up! Hope to see you again soon! "We have stayed in many vacation rentals but this was the best. Condo is beautiful & well maintained. So many extras that it can't be topped." Manager Response: So pleased that you had a great stay at Surfs Up! Visit again soon! "I had a wonderful, peaceful night and day in this lovely condo. Thank you! " Manager Response: Really glad that you enjoyed Surfs Up! Please visit again soon! 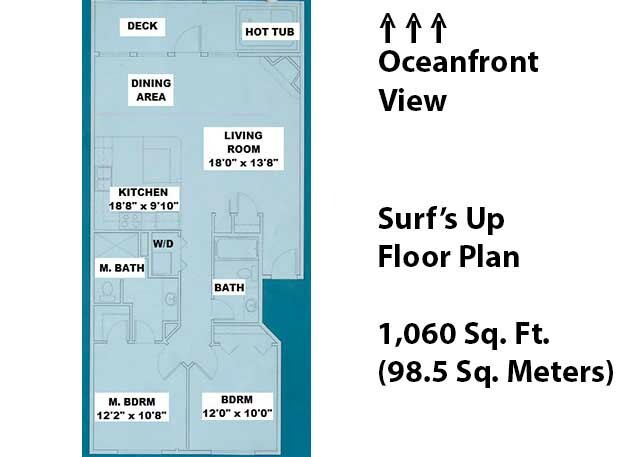 "We found the "Surf's Up" condo rental to be everything it was advertised to be, much to our delight. Our ten day stay was so enjoyable, even if the weather was not very cooperative at times. When we didn't feel like walking on the beach, we still had a wonderful view of the ocean, while enjoying the warmth of the fireplace, or relaxing in the hot tub (one day, we watched whales spouting, while we were soaking in the hot tub)! 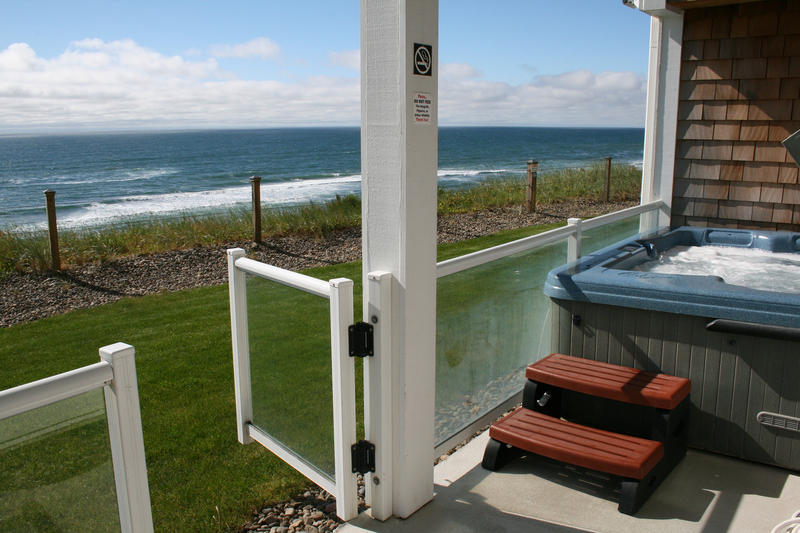 Thank you to A-1 Beach Rentals for helping us enjoy to the fullest our Oregon Coast Vacation!!!" Manager Response: So glad you enjoyed your stay and enjoyed the whales! Please come again! "This was a family 4th vacation for my husband, 3 year old son, and myself. We enjoyed the spectacular views from our hot tub on the deck and with a short walk, we had our feet in the sand. The condo was beautiful and well kept. We felt right at home here. " "My fiancée and I stayed three nights and it was incredible. The furnishings were very nice, comfortable, and very clean. We felt like it could have been our condo to visit every weekend or live there permanently. We were very impressed and had a wonderful time. My only suggestion since there is no air conditioning is that it would be nice to have a fan to put in the bedrooms for really warm days. We went and bought a small portable one because it was a little stuffy in the evening. We will definitely return and would recommend to our friends and family who want to go to the Oregon coast." "It was so nice to walk in to a vacation rental and have it be exactly as described! Clean, well furnished and a perfect view of the ocean!" Manager Response: So glad you had a great time! Visit again soon! hazards for anyone with movement or walking disabilities. " "My girlfriend and I celebrated a year of dating by spending 3 nights at Surfs Up. Weather was lovely, unit was clean and very well appointed. Hot tub was clean and hot. Had a bit of a surprise one afternoon when a man came onto our patio to fix the hot tub cover; a little warning would have been nice but no big deal." Manager Response: Sorry about that! So glad you enjoyed your time in Lincoln City! Please visit again soon! "This is a great place in a great location! Very well appointed with a great layout. The whale watching from the private hot tub was a real plus. " "My husband have rented several places on the Oregon coast and Sunriver through the years. We also spend weekends camping on the Oregon coast and throughout Washington and Oregon but feel sometimes it is nice to just stay someplace, whether it be in a place that we rent for several nights or a hotel. We have rented more than 10 different places over the last couple of years and I would say this is in our top 3. The only thing we wished for was to hear the ocean at night. We have a pond and waterfall in our backyard and love to hear water. So next time we will be looking for rental within your company that will provide that ocean view and sound via a master bedroom." Manager Response: So glad you enjoyed your stay! Please come visit again soon! We'll get that ocean sound for you! "Overall quite delightful - no specific complaints except that the sheets were a little scratchy. Also we left all the cheese that we had bought at the Tillamook Cheese Factory (two couples) - so sad." "Our family had a wonderful time!! This was just a beautiful condo!! 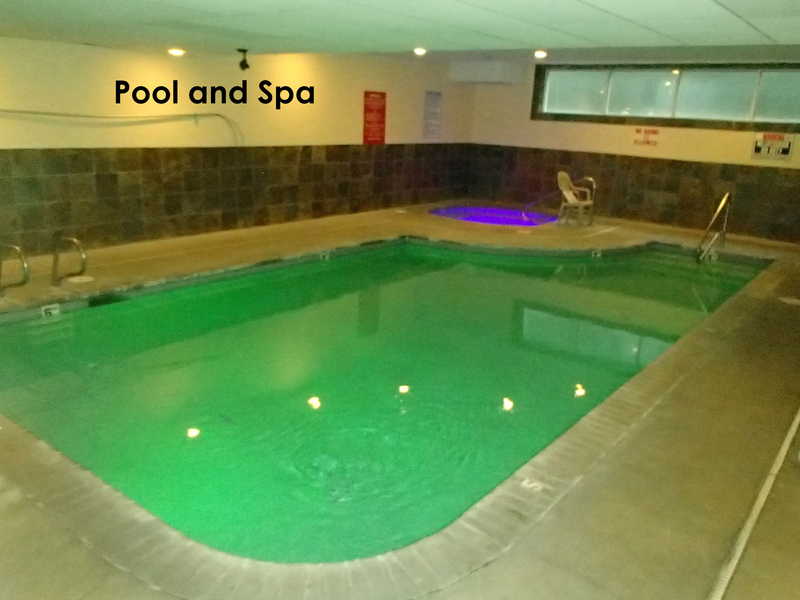 The entire place was extremely clean (even the carpets), the sheets were very soft, the towels were super thick and plentiful, the kitchen was very well stocked, the view was spectacular, the hot tub was perfect, and the whole place felt very comfortable and spacious. Beach access was just a couple of doors down and located where there were plenty of tidepools to enjoy. Just a great, relaxing time!" "Beautiful spot with a breathtaking view. Condo was clean and well kept. Would have liked easier access to the beach - was travelling with a grandparent - she could not easily walk to the beach"
"Great location, quiet, nice work out room. everything i wanted except for the pac 12 station on cable. Charter doesn't carry it"
Manager Response: Glad you had a great time otherwise! Thanks for coming! "The unit was fantastic!! Amazing sunset views & sounds of the ocean waves! Can't wait to come back, we will for sure stay there again! " Manager Response: We hope to see you again soon! Thanks for visiting! "Thank you for making our first experience with staying at a VRBO a great one." Manager Response: We are glad you enjoyed your stay! Hope to see you again soon! "My husband and I stayed in the condo for our anniversary weekend. The location was ideal and everything we needed for our stay was there. The kitchen layout was great for cooking and socializing. The condo was very clean and checking in was easy. Would definitely recommend for a couples getaway as it provides a spacious but intimate space. " "We often go to the coast for short getaways, especially in the winter. This time we went for Antique Week. Surf's Up was very clean, attractive and conveniently located. The underground parking was great because of the rain. The garage elevator made loading and unloading a breeze. The bed was very comfortable. All in all, I'd say you'd be hard pressed to find anything negative." Manager Response: Thanks for your kind review! So glad you enjoyed your stay! Please visit again soon! "This was one of the nicest places we have ever stayed on the coast. The kitchen was very well equipped and the furnishings were in good condition. The place was quiet, comfortable and the view was great. A very good deal for the price. Extra clean unit." Manager Response: Thanks for your kind review! Please visit us again soon! "My husband and I rented this condo for our honeymoon and were thrilled with our choice! From the awesome artwork to the private hot tub, we felt like we were in our own little quirky paradise. Perfect for a couple looking to getaway from it all! Great views of the sea! " "I visited the coast for a weekend getaway trip and this place was fantastic! Comfortable and cool with an awesome view!" "One of the best vacations we've ever had. This place was perfect. Would recommend 100%. " "Wow. Our stay at Surfs Up was amazing. It was very clean and well taken care of, the pictures don't do it justice. My wife has stayed in Lincoln City many times and in many different places, this one by far takes the cake. This rental has all the modern amenities you could ask for plus an amazing hot tub. We recommend taking a night to spend in the hot tub while listening to the crashing waves, it is spectacular. Though it was just the two of us now, we already have plans to bring our future children to this amazing condo." Manager Response: So glad you enjoyed your stay! Please come again soon to the beach! "This beach rental has outstanding views of the ocean. The owner has taken so many extra steps to make this place comfortable and easy to live in, just like home." "We loved the condo! Very nicely furnished with comfortable seating in living room and dining room as well as comfortable beds. 2 bedrooms and two baths perfect for two couples. Plenty of room everywhere. Many cooking items and dishes for preparing meals (if desired) but there are some great restaurants close by. " "Property was directly overlooking the beach with a lovely view. The weather was windy and rainy but not so much that we couldn't enjoy the hot tub. Only detriment was a fire alarm that beeped every hour overnight in the unit. We had 2 batteries replaced but still had beeping that woke us every hour through second night of stay. Other than that, it was a great place to stay, and the property management team were very nice when we called about the alarm. We enjoyed a beautiful view and great dinner at the Bay House restaurant for my husbands birthday, and then another wonderful lunch and View at Tidal Raves." "A wonderful property. It was comfortable, easy to find and a great view. We were able to see whales while sipping on the complimentary Depoe Bay peach wine (which was yummy!) Everything was enjoyable from the fireplace to the beds to the kitchen. " Manager Response: Really glad you enjoyed your time at Surf's Up! Please come visit again soon! "We had a great time even though the weather was not so good. A little early in the year still. Love the location and view of beach Spa was great. We always enjoy the Oregon coast. We did see a few other A1 property's we are interested in renting at another time. " "Rain, rain did not go away but it did NOT affect our stay. We had a quiet relaxing three days in a beautiful space. The bonus was the great hot tub. We will be back." "We had a great time enjoying the view, as well as waking up every morning to coffee on the patio and the ocean breeze in our faces. The fully furnished kitchen was a huge plus, as we didn't want for anything. The hot tub was also a hit, as it sits right on the back patio, allowing us to relax out of the rain with the sounds of the ocean close-by. The two-bedroom, two-bathroom setup was also ideal, as we vacationed with two couples and each had our own retreat spaces, as well as a common living room area. The WiFi was fast and reliable, and the owners were kind to leave a bottle of wine and codes for two Redbox movie rentals." "The experience was wonderful from the booking to the end of the trip. The mobile app made it so easy to add another day and see all the information we needed. The place is cozy and very well kept with an incredible view from the hot tub. " "Do Not Hesitate to rent Surfs-Up! It began with: Friendly reservationist, email reminders, phone app that lead me to the front door with key codes. The actual condo is laid out perfectly with every amenity you can think of and little things you may have forgotten. The beds were comfortable and with quality linens and we loved cooking in the fully stocked gourmet kitchen. It was a busy weekend and we barely heard our neighbors. We had a blast! Thank you so very much for sharing your lovely home!" Manager Response: Thanks for your kind review! So glad you enjoyed your time at Surfs Up! Please come again soon! "The condo was perfect. It is so cozy? Very well stocked. It was fun just sitting and vegging and watching the beautiful ocean. We would rent this condo again when we return." Manager Response: Glad you enjoyed your time at Surfs Up! Please visit us again soon! kids and us to be able to stay together...Than you so much.."
"We stayed at Surfs Up in July for our 2nd trip to the Oregon Coast. We stayed in other unit next door last month. This unit has a different floor plan, but it was just as nice. 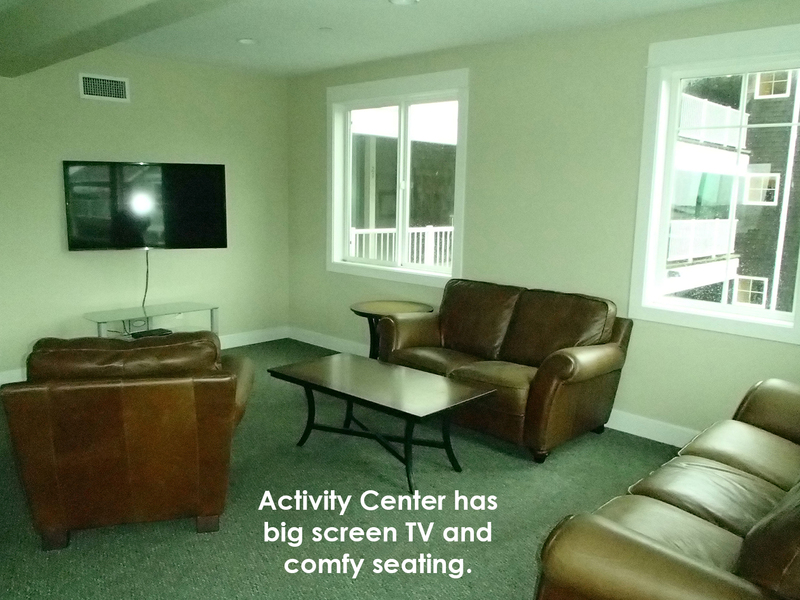 Stainless steel appliances, granite and flat screen TVs make a break from playing at the beach very comfy. A must for our family with little ones was a dish washer and separate bedrooms, which these units all have standard. While this unit had a lot of furniture (small tables, glass and chairs that weren't necessarily in the greatest shape or comfortable), it was cozy and nice. It even had a Keurig and KitchenAid mixer! Since this is right on the coast it is just a quick walk to the beach and tide pools which our little boys loved! Afterward you can swim in the pool at the condo, and once the little ones go to bed the parents can relax in the hottub and listen to the beautiful ocean. We will stay at the Pacific Winds every time we visit the coast! Thanks for twice the memories of the Oregon Coast! " "it was so close to the beach we just walked. the jacuzzi was perfect on the cold days." "My wife and I felt like we were in he see side heaven for the 5 days we were there. The condo was absolutely wonderful and we felt like we could stay there forever. We could not have picked a better place. We are looking forward to making another visit. Will recommend A-1 beach rentals to all we know and meet." "Super nice condo in a great location, we had a great time!!!" "We had a great time during our stay. The condo was very clean. Has a great view. We were not disappointed in any way. " "We spent 3 days in the comfortable and well-equipped condo. " "This is a return visit for us because we absolutely love this condo! It's always immaculately clean and ready for us to vacation with a gorgeous visit of the ocean. The reservation process is smooth and friendly. We especially like the Blackfish restaurant, Pier 101 and Kyllo's. It's also fun to check out The Dapper Frog. We'll be back!" "It was a very relaxing with a wonderful view of the ocean. The place was very clean and inviting. My girlfriends and I would recommend it to anyone." "Very nice condo with a wonderful view of the ocean. The condo was clean, with very comfortable furniture and beds. We would recommend this condo to anyone! " "The condo was beautifully decorated, has lots of amenities, is well maintained and clean. We enjoyed our stay and had a wonderful experience staying in Surfs Up." "Cozy, quiet and great view." "My husband wanted to spend Thanksgiving at the beach, "Rent a condo overlooking the water," was all he said. I found A-1 Beach Rentals online and thought it looked lovely - fireplace (good), hot tub (good), view of the water (great!). Booking was easy, they send you all the details on location and how to access the condo - it's right off the main drag and right above the ocean with easy access to the sand just a block away. The condo itself - well, photos don't do it justice. It is PEACEFUL, warm and inviting. Peaceful being the most prominent feature. Well appointed kitchen (more so than I could have hoped for, they have EVERYTHING you would need, including a fondue pot); very wonderful linens, comfortable beds, great pillow selection and lovely art adorning the walls. It felt like home, only better, cleaner and with an amazing view." "This property was perfect for our weekend plans. Nicely decorated, very clean and a perfect location with a wonderful view. We hope to return again." "Wonderful eclectic apt that had more than we needed. So lovely to hear the waves. Nice central quiet location"
"It was Phenomenal what a lovely place best vacation yet, didn't want to leave. Loved waking up every morning to walk out of the room an first thing you saw was the beach. I couldn't have ask for more. Thank you so much for allowing me an my guest to stay here. I do have to say the only down fall was the main light for a room wasn't working but thats not a big deal. " "This place is well equipped, and you can't beat the view. Nothing better than sitting in the hot tub and enjoying the ocean. We certainly plan to come back in the near future. " "The view was perfect, the condo was well stocked, it was clean and very comfortable. I would highly recommend it. " "Condo was lovely. Fantastic views. Hot tub heaven. Management went out of their way to ensure our stay went smoothly, including the replacement of a fondue pot! All I can say is great things." "The condo was very clean & comfortable and the view was spectacular." "Appliances were top notch - good selection of cookware. Property was clean and in excellent shape. We loved the condo with the underground parking. Only thing I would change would be to have the view windows off the living room as opposed to the dining room." "The condo was very clean and had a comfortable feeling. Our stay was so relaxing between the hottub, listening to the waves, seeing seagulls and raccoons in the back grass area, it was just wonderful. It would have been nice for the condo to have A/C since you are on the ground level you can't leave the backdoor open all night and it gets warm in the rooms." "This place was amazing. 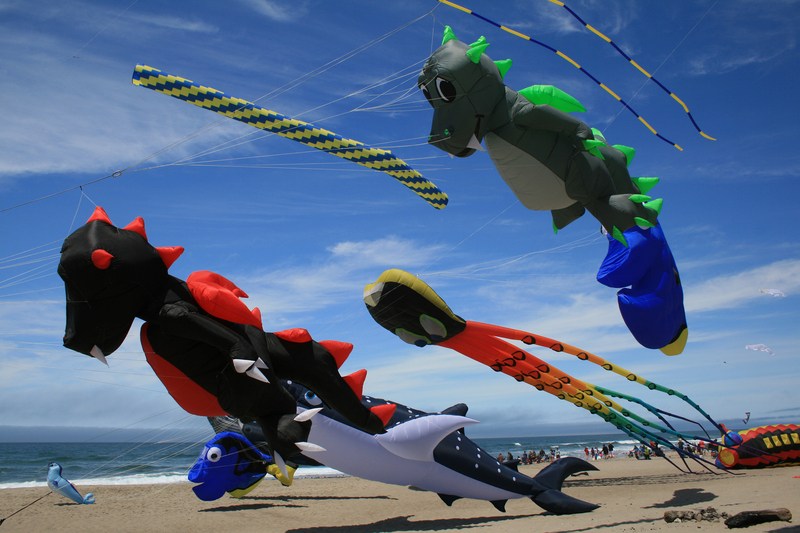 It was the kite festival and I was meeting my son and his girlfriend up there. My daughter lives an hour away so her family came over everyday and we all hung out at the beach. We also went to the aquarium which is not too far away. My daughter has 2 young kids and I would not suggest this place for young children as mostly everything is glass in the house. Spent a lot of time telling them don't touch this or be careful that. " "We could not have picked a better "home" to celebrate our thirtieth. 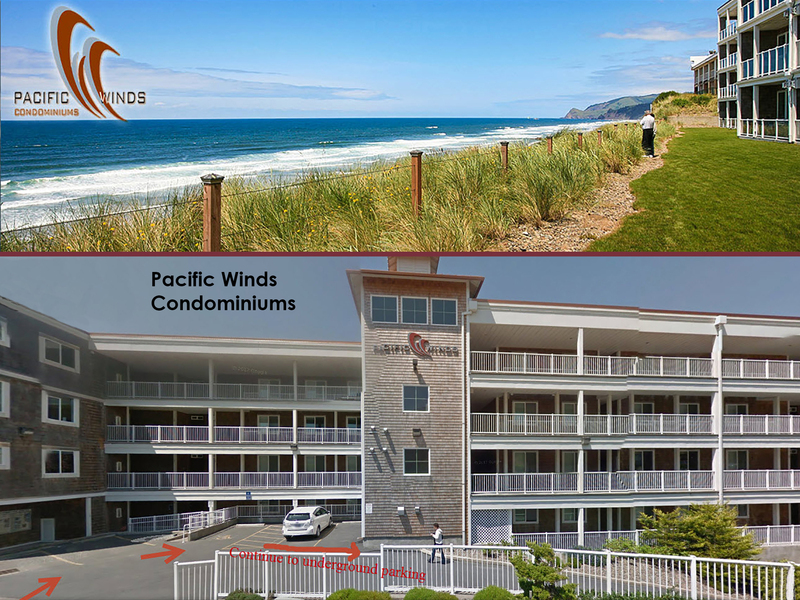 Surfs Up has all the comforts of home and gave us a centrally located base to explore the coast along Oregon. The view from the condo is breathtaking and I probably have 50 pictures just off the deck..... :-D Loved the hot tub on the cool nights and early mornings, quiet, private, clean and secure. Who could ask for more. We will be back!" "We had a great time at Surf's Up! Excellent proximity to the beach, the view was breathtaking and the property had great amenities! The kids loved the pool & my wife & I enjoyed being able to relax in the hot tub watching the waves roll in. "The condo was perfect, our Thursday stay was amazing. The weekend however ruined by loud parties and rude people. In fact the condo above were so rough the smoke detector in the hall way fell off. We really thought we were renting a private house, from the pictures on the Internet. Other than the rude and obnoxious people, the stay was fantastic. " "The condo, the weather, everything was absolutely perfect. I will be recommending the condos to all my friends and we will definitely be renting from you guys again! " "Great location, easy access and a quiet unit. Would stay there again!" "Our stay was wonderful, unit was decorated awesome. This is our second stay, stayed in #1 last time, this we prefer that one only due to the lack of WiFi connection problems. Thank you"
"The apartment was lovely, the view amazing, hot tub on balcony great and every little amenity was covered. Ground floor apartment gave access to lawn right off deck. However; bedroom windows looked to ground level parking. Property management VERY responsive and even came out Christmas Day for minor problem." "Beautiful weather, stayed 2 days and loved the hot tub--very clean and c lose walk to town--too much construction on the road outside--made it unpleasant to walk to the beach. Thanks for the short visit "